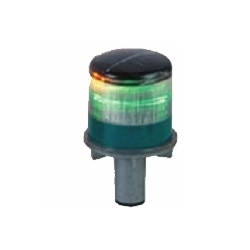 We are a leading Manufacturer of solar flasher-p, solar road studs, solar light blue, solar light green and solar light yellow from Faridabad, India. Providing working as post based LED flashers, these Solar Flasher-P emit bright light that can be seen from a distance of 500m. 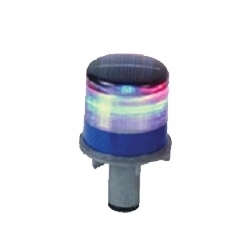 With flashing rate of around 74 times per min and availability in red, yellow white, green color choices, these solar flashers provide for additional visibility support as well as also work as warning sign to the motorists. 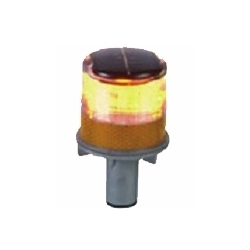 Delivering high-intensity continuous flash output, these flashers can be used at places like areas where new road is constructed, at construction and work zones and others. 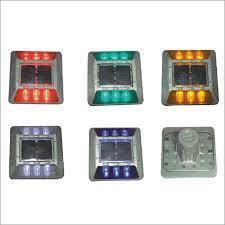 Further, as these are solar based, these can be easily moved to required area with no need of any other working support. Some advantages of these solar flashers include offering high intensity, continuous flash output; simple installation support, allow easy fitting in existing poles, no requirement of cabling and minimal maintenance requirements. Flashing Rate:Around 74 times per min. Solar Road Studs from our side are developed from aluminium alloy and polycarbonate material which makes these long lasting in usage. As solar-powered studs, these are recharged from sun light and provide for consistent lighting support. 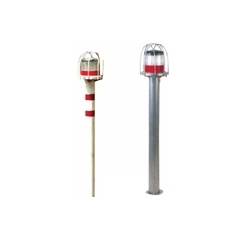 As road safety equipment, these find extensive use on inner roads as well as on highways and allow prominent visibility even in foggy/less visibility conditions.